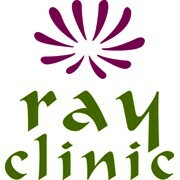 Ray Clinic is British Columbia’s leading naturopathic fertility clinic providing fertility acupuncture and naturopathic medicine to enhance your chance of getting and maintaining a healthy pregnancy. Dr. Charlene Chan, ND, RAc is the first naturopathic physician in BC to be working closely with medical fertility specialists across the lower mainland and directs the Integrative Fertility Program at Ray Clinic. Ray Clinic also works collaboratively with the Pacific Centre for Reproductive Medicine to provide onsite acupuncture treatments upon request.